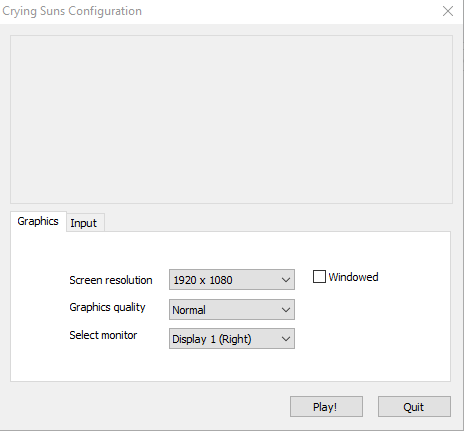 The "windowed" checkbox needs to be unchecked for the game to run on full screen. If it's not possible or if you don't get that window at startup it might be a bug. We also had several feedbacks about the font being hard to read, we are currently working on this issue too. In the released version there will be a regular "display" option menu to handle all these parameters. Hope these informations will help you ? Did you have the opportunity to test the game following demerzel's advice? And, just to tell you, we've released the new version of the beta, with a complete rethink of the the game font to make it more readable. Maybe this will help you?